International visitors to Fiji will fly into Nadi International Airport, but it’s essentially a fairly small and dusty town. We hadn’t planned to spend much time there at all, but ended up spending about 3 days there as Uprising Resort (where we were staying in Pacific Harbour) was fully booked for those days. Instead of finding other accommodation in Pacific Harbour, we decided to explore Nadi (pronounced ‘Nandi’) and do a bit of diving there for the rest of our time in Fiji. On the bus ride from Pacific Harbour to Nadi, we came across a few villagers pulling a trussed-up pig across the road. The pig couldn’t move, but it was squealing so loudly that I could hear it from inside the air-conditioned bus. I’d heard about how pigs are very intelligent, etc. but this was the first time that I’d actually seen an animal have such awareness of its impending demise. It was very traumatic (for me) – and even more so for the pig, obviously! Since then, I’ve drastically reduced my pork intake and now only eat it on really special occasions e.g. when going for dim sum. I’m not quite ready to give up siew mai forever. 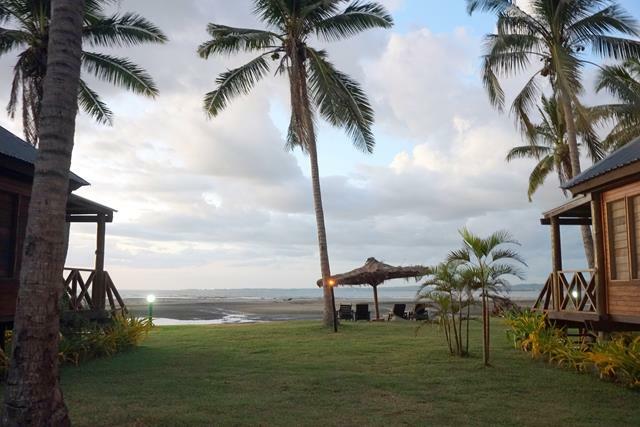 We stayed at Club Fiji Resort, which is (as the name suggests) by the beach. It’s about 8km away from the city centre of Nadi, and a cab ride costs about FJD15. If going into town from the resort, though, you can share a cab with other guests! It was nice to be able to take a hot shower again, but the hot water unfortunately ran out about 3/4 into my shower. I learned to shower a lot faster! Our Garden Bure was basic but reasonably clean. I really appreciated the mosquito netting over all the windows! 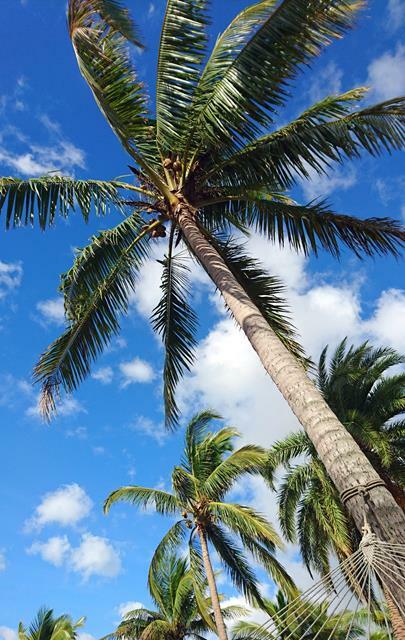 Sadly, there was no free wi-fi (this seems to be the norm in Fiji) – and even if you pay for wi-fi, the signal doesn’t extend beyond the resort restaurant and swimming pool. As it’s so near the airport, you can hear planes flying overhead quite often but it didn’t really bother me. 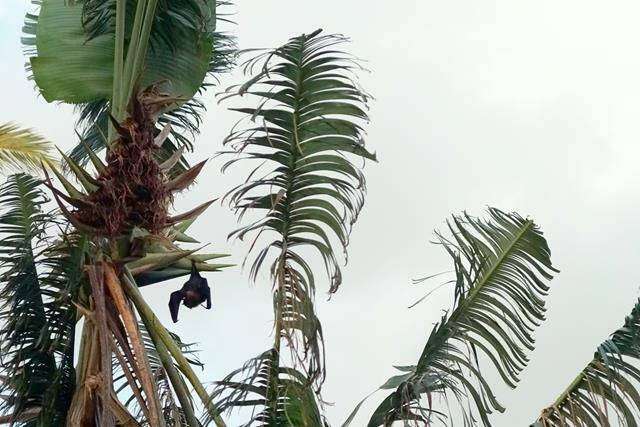 I was more bothered by the bats – in Fiji, they fly even during the day and seem to be quite common! They apparently don’t have rabies, though. There’s a discount for staying multiple nights, so we got a Garden Bure for about FJD175 (approx. SGD113) a night. It was right at the end of the row of bures, though, so we effectively had an unimpeded beach view. Meals at the in-house restaurant weren’t very cheap but it was so convenient that we ended up eating there a lot! They have internationally-themed dinners each day of the week. 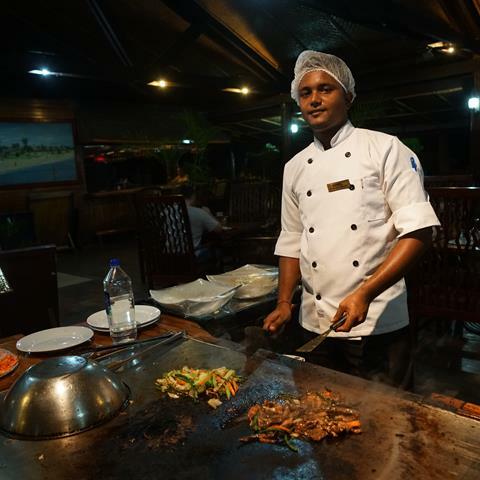 For example – on Thursdays, you can have a teppanyaki dinner. 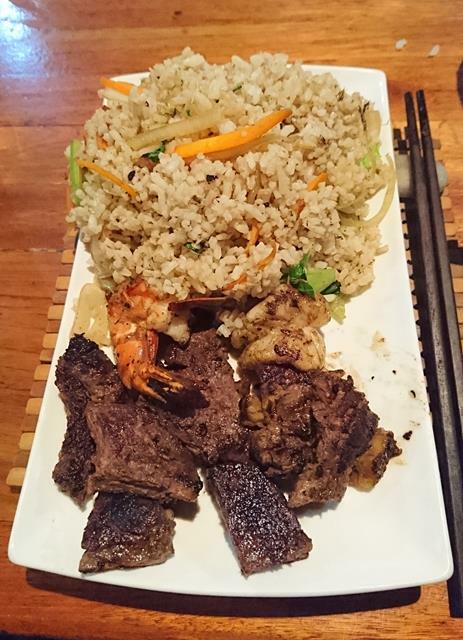 Our meal of steak, prawn and fried rice plus dessert (chocolate fudge special – yum!) cost FJD60 (about SGD37) each. 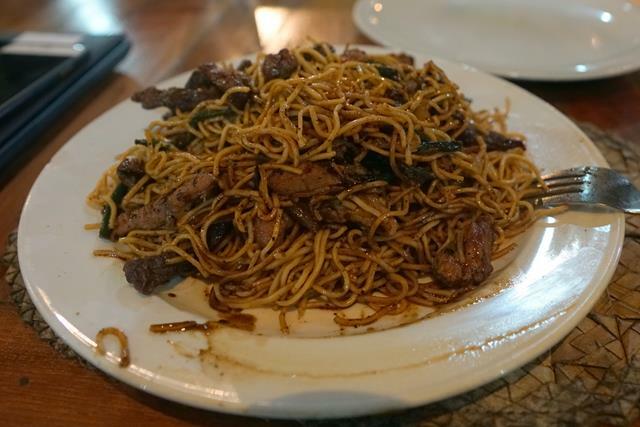 On Friday, it was Mongolian BBQ with a free dessert for FJD29 each. You can choose two of fish/chicken/pork/beef, plus rice/noodles and vegetables. 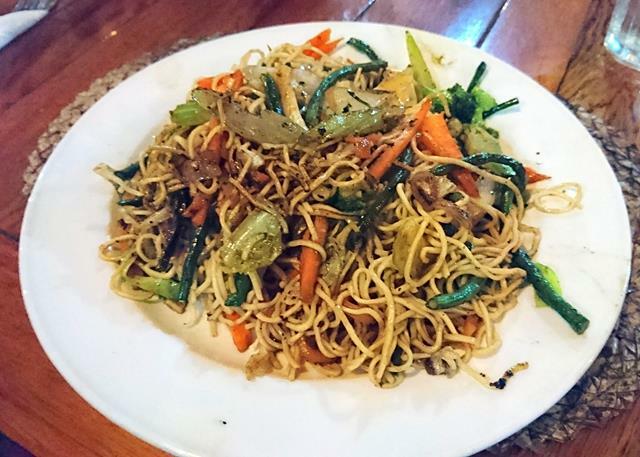 I went meat-free and had noodles and vegetables with oyster sauce, which was not bad – like something I could find at home. The dessert was banana cake with vanilla ice cream – a great way to end a meal. Very memorably, there was a group of tourists from China staying here who couldn’t speak a word of English. They were trying to communicate with the front desk using some translation app when I offered to help. I had to use my own translation app too at times (Pleco is awesome, by the way), but it was still much faster. Apparently, the only member of their group who could speak English got sick and couldn’t go on the trip. I thought it was very brave of them to go anyway. 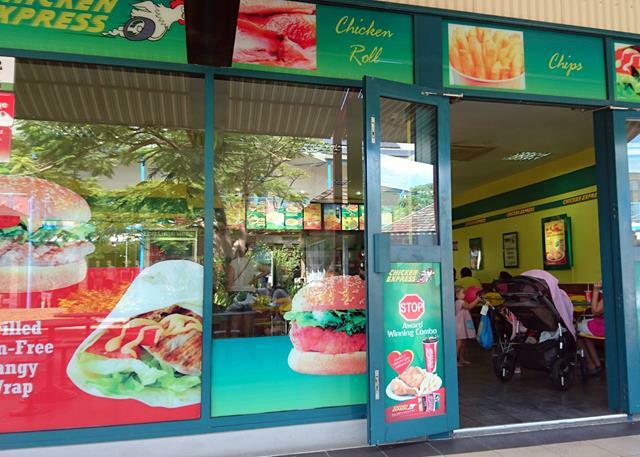 There is a noticeable Chinese presence in Nadi, though – I saw quite a few Chinese restaurants in town and lost track of the number of shop assistants who said ni hao to me. There were other Mandarin-speaking guests staying at the resort, too. So I think they got by fine. This is a pretty upscale area, with a number of nice hotels and golf courses like the Hilton. It’s just a short bus ride away from Nadi city centre – you take a yellow bus that departs quite frequently and only costs FDJ1. 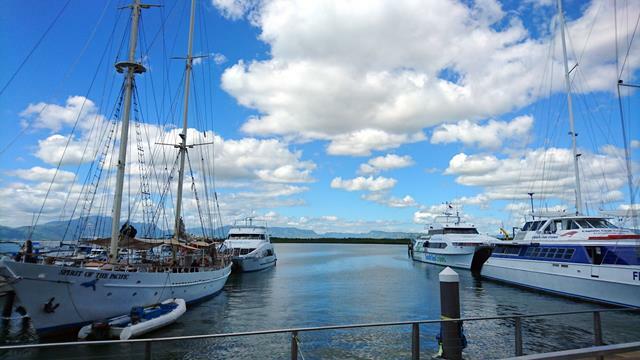 The port itself has amazing views (look at all those yachts!) with many restaurants and shops. 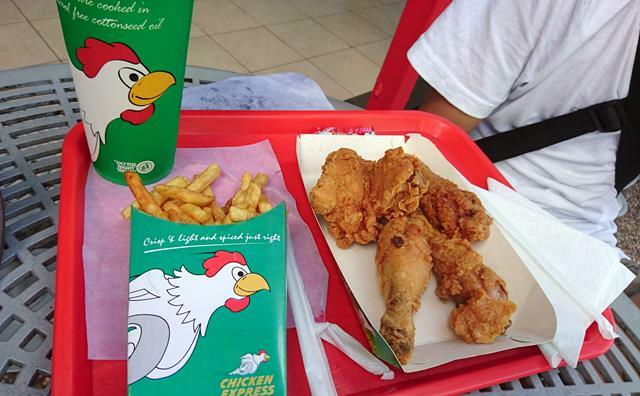 We window-shopped for a bit, and ended up eating lunch at the Fijian equivalent of KFC: Chicken Express. It’s decent, as far as fried chicken goes, and Ian absolutely loved it. We had it at least 3 more times over the next few days! 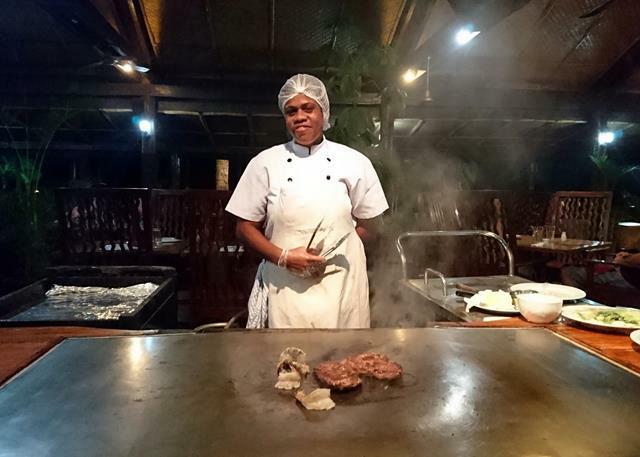 It’s a bit of a shame that I spent an entire week in Fiji and didn’t eat any traditional Fijian food, though. I generally like to try authentic local food when travelling, but Ian likes to stick to what he knows. Next up: the unfortunate end to my time in Fiji! All’s well that ends well though, right? 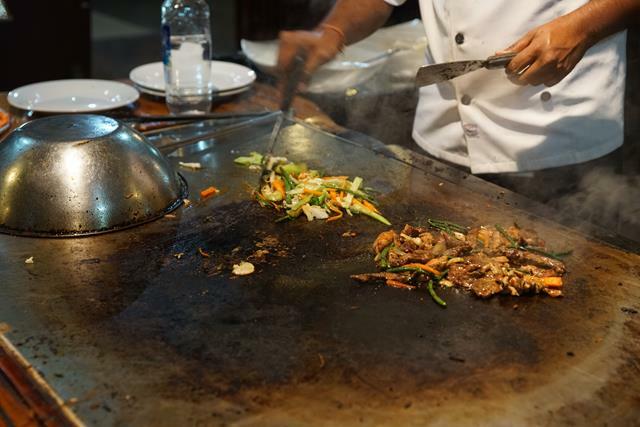 Do you make it a point to try the local cuisine when you travel? Have you had any bad experiences doing that? I love trying the local food when I travel. It’s such an important part of the whole experience for me. This looks absolutely delicious!